Today is his 43rd Birthday Celebration……..
Hon Henry Uranta ,An ijaw man by birth.Was born in January 26th , 1972 to a middle class family of Bishop Albert Uranta, His father is a renowned Bishop in Rivers-State,Hon Henry grew up in Opobo/Nkoro. He is married to Mrs Belema Uranta. They have beautiful kids together , He is the elder brother to Mary Uranta ‘’A Famous Nollywood Actress’’ . Hon Henry attended Baptist High School, Borokiri Port-Harcourt ,Class 1991.He played student politics with Dr Dakuku Adolphus Peterside, When Dr Dakuku was National President of National Union of Rivers-State Students. Both Dr Dakuku Adolphus Peterside and Hon Henry Uranta were classmates and very close friends at the Rivers-State University of Science and Technology. Hon Henry studied Mechanical Engineering and graduated in the year 1988 with a very good grade. Hon Henry, Earned his MBA, from Pan-Atlantic University(Lagos Business School),Lagos Nigeria , in 2015;A foremost leading international university .Ranked high, source; Financial Times, London. He holds several international certificates/honors such as Nanyang Business School, Singapore Business Foundation, etc. Hon Henry Uranta , Played a key role in the unveiling of Dr Dakuku Adolphus Peterside as the All Progressives Congress flag bearer in Rivers-State.Hon Henry Uranta made history by sponsoring the first courtesy call visit to Hon Davies Ikanya, the All Progressives Congress Chairman , Rivers-State. The agitation for a Riverine Governor was made known to Hon Davies Ikanya , publicly. These lead to the birth/adoption for a ‘’Riverine Governor’’ agitated by Prince Tonye Princewill,Nimi Walson Jack,Emmanuel T Gerogewill,Asari Dokubo, Dumo LuLu Briggs,etc. Hon Henry is also currently the Director General of Door 2 Door for Dr Dakuku; An organization that is agitating for a Riverine Governor in Rivers-State. 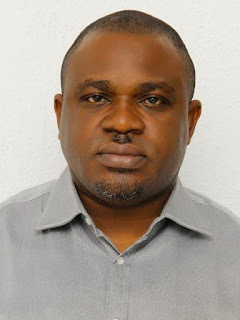 His organisation Door 2 Door, rigorously campaigned for the All Progressives Congress, Rivers-State during the April 2015 gubernatorial election. His also the Chairman of Rivleaf Opobo / Nkoro ,Former Head of Media/Publicity Opobo/Nkoro Local Government. Indeed, a picture tells a thousand words. Hon Henry; always cheerful, smiling, friendly, loving, caring and serious minded when the situation demands. There’s no age limit with Hon Henry; a friend to all. Hon Henry Uranta is a philanthropist and a leading member of Rotary Club of Port-Harcourt , District 9140. Indeed Hon Henry Uranta so much achievements in his social life, family, politics and in all aspect of life deserves to be celebrated. HAPPY BIRTHDAY HON HENRY URANTA.